In Newfoundland, you can say hello to anyone and expect a pleasant response. In contrast, try striking up conversation with strangers on Toronto's subway and a terrified who-is-this-person expression is likely all you will receive in response. It doesn't take long to see why Newfoundlanders have a reputation for friendliness. That friendliness fosters a feeling of security - one knows that if you are ever in need here, someone will step up to help. 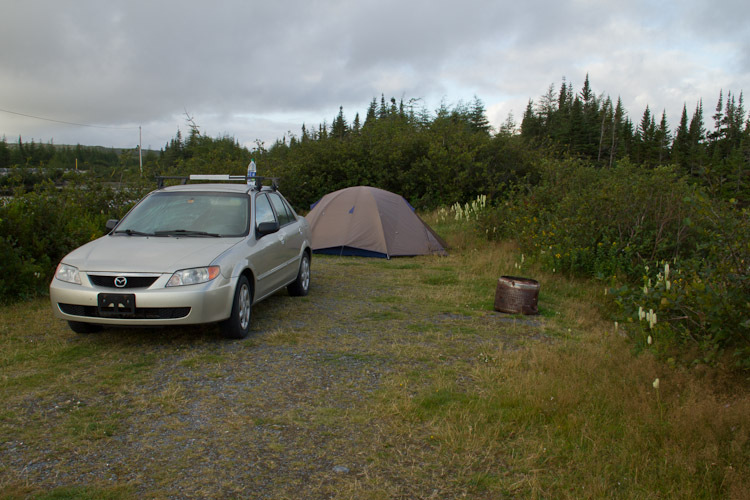 Once, after hiking a section of the East Coast Trail, we found ourselves locked out of our car, and the woman at the nearest house we walked to left her dinner table to give us a ride. Back in Southern Ontario, escaping the city for a weekend of camping is a task and a half. You have to reserve a campsite far in advance, pay top-dollar fees, dodge long weekend traffic and buy some overpriced firewood. Then, when you finally get to your campsite, you realize that the next campsite is hardly further away than your neighbour's house was back in the city. Toss in the odd park warden on a power trip and you can see why lots of people don't even bother. Newfoundland, however, is breath of fresh air. Outside of the cities, you can wander off the road just about anywhere and find a place to camp without disturbing anyone. Your biggest problem will likely be finding a place to set up camp that isn't bog, rock, or dense woods. We found a beautiful little spot just meters off the road during a weekend trip to the Burin Peninsula. 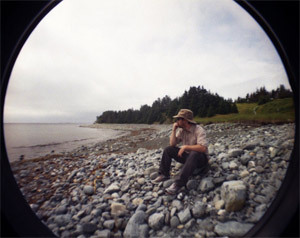 Even organized trail systems like the East Coast Trail allow hikers to do weekend hiking trips without making reservations or paying fees. The national parks, of course, still charge fees but the facilities they provide are fantastic - it's the clean bath room and hot shower you're actually paying for. Rush hour in St. John's is barely half an hour. In fact, it's mainly just the university and government buildings at 5 PM that will slow you down. Aside from that, you can drive anywhere in St. John's within 20 minutes. It's easy to spend 20 minutes at a single stoplight in Toronto or Montreal! As Nicole and I drove back through Montreal, a thick smog hung over the city and we both commented on the change in air quality. We both grew up occasionally being stuck on a highway in summer, and never really noticed that the associated smell and haze was entirely unnatural until we lived in St. John's for 3 years. Additionally, there is significantly less pollen in the air in Newfoundland, and I have noticed that I have far fewer allergy symptoms while living in St. John's. It's amazing to look across the chilly north atlantic and know that beyond the horizon are several oil rigs, iceland, and then Europe. I like to think about the sailors who made the first trips across from Europe, and what tough SOB's they must have been. Also, seeing whales and seals playing in the water is an amazing thing. It reminds you that there is a whole world beneath the surface of the water that is almost completely inaccessible to us. St. John's has several beautiful parks and an excellent trail system. I would call it the greenest city in Canada, but that would betray the relatively long winter weather. Even in the winter months, a walk in Bowring or Bannerman Park can provide a nice escape from the rush of the city. While QV is technically considered a micro-brewery, it is quite some distance above from an entrepreneural enthusiast who produces a skunky beer in his garage. To me, it's the perfect balance between big-breweries, which are interchangably generic, and the really little guys, who always seem to have trouble with consistency and wide-spread availability. QV light is probably the beer I drank the most of, but I'll probably miss 1892 the most. Service in shops and restaurants here is especially civil, and only rarely sub-standard. Indeed, there are times when I wish they would be a little *less* friendly. Like when I am attempting to hurry through a checkout and the person in front of me has launched into an in-depth discussion of recent weather with the cashier. I find myself patiently tapping my foot and longing for the indifferent efficiency of the cashiers at no-frills in Scarborough. I know I'm going to get chewed out by someone from central Newfoundland for this one, but we really found there were generally much less bugs than in Ontario. When you're on the coast, there's generally too much wind, and for much of the year it's just too cold over night. Also, if it's raining, you're not generally being harassed by mosquitos. Toronto doesn't really have a distinct culture; It's more like a collage of cultures from other parts of the world. 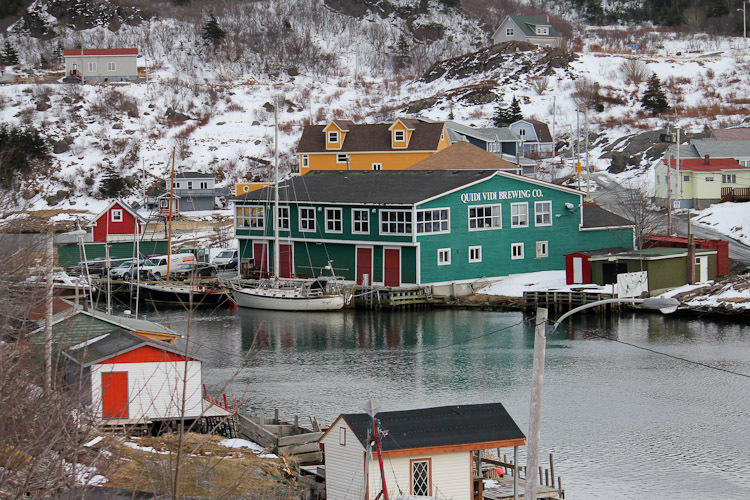 Diversity is great, but Newfoundlanders can almost lay claim to their own secret language. I'll miss sayings like "where are you to? ", "best kind" and "what are you at? (this is it)". And more than just knowing the lingo, being a Newfoundlander is practically membership in a special club. I do believe that if any two islanders met in a bar on the mainland, even if one is a Townie (from St. John's) and the other a Bayman (from anywhere else on the island), they would be best of friends and talk of how much they miss home. Strombo is always a little clueless, but Alan Hawco makes him seem like mainlander extraordanaire. Foggy spring weather and the relentless wind, the relative lack of ethnic food, roads that are too narrow to comfortably bike on, and the lack of decent public transit. Update: Beer at Convenience Stores! I will also miss being able to buy beer at convenience stores, and after 9 PM. The Beer Store and the LCBO do have unrivalled selection, but they can't compete with the convenience of being able to buy an 8 pack of cans anywhere, (almost) anytime. Convenience costs, though; beer in Ontario is around 15-20% cheaper than NL.